The ill-famed attack on Dresden had begun. The target city was among Germany's largest, but it alone had developed no single major war industry. The German authorities had made it a centre for the evacuation of wounded servicemen, and by February 1945 most schools, restaurants, and public buildings had been converted into military hospitals. In selecting Dresden for this purpose, the German government probably hoped that this, one of the most beautiful cities in Europe, often compared with Florence for its graceful Baroque architectural style, would be spared the attentions of the allied bombers. 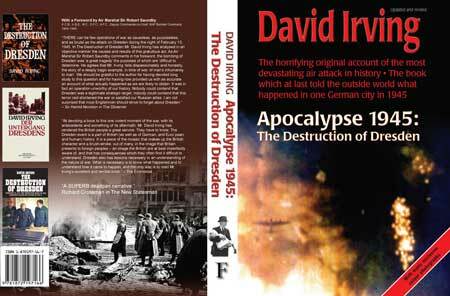 By 1945, the legend was deeply entrenched in the population's mind that Dresden was a city that would never be bombed. In the summer of 1944, the Allies had shelved as inopportune a plan to cripple German civilian morale by delivering one 'shattering blow' as R.A.F. staff officers termed it on one selected German city. But in February 1945, with the Soviet armies making striking advances in their invasion of Silesia and East Prussia, and when the war's political and military directors were meeting at Yalta, Mr Winston Churchill was urgently in need of some display both of his offensive strength and of his willingness to assist the Russians in their drive westwards. The 'shattering blow' plan was brought out and reexamined. Dresden, the 'virgin target' just seven miles behind the eastern Front, became the victim of Mr Churchill's desire for a spectacular blow. By a combination of delays and poor weather, the raid, the climax of the strategic air offensive against Germany, and the most crushing air-raid of the war, was not delivered until the day that Mr Churchill was departing from Yalta. 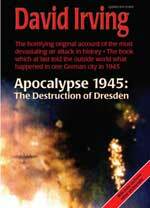 In this work, a considerably revised and updated edition of his famous book THE DESTRUCTION OF DRESDEN, the author shows how the Dresden raid drew on each of the earlier fire-storm raids on Germany, those on Hamburg, Kassel, Darmstadt and Brunswick, and then combined the vital elements of success. The city was undefended -- it had no guns, and even the German night-fighter force was grounded by Bomber Command's brilliant tactics of deception and trickery. It had no proper air-raid shelters. On the night of the attack, Dresden was housing hundreds of thousands of refugees from Silesia, East Prussia, and from western Germany in addition to its own population of 630,000. Between fifty and a hundred thousand people were killed that night. Yet until the author's first book on it appeared in 1963 the raid on Dresden scarcely figured in any official indices of the war. Politically and strategically, the raid was the fore-runner of the U.S. Air Force's atomic blows on Hiroshima and Nagasaki; but the Dresden death-toll was probably larger than either. Why was there this official silence about the Dresden tragedy? Certainly little discredit reflected on the officers and men of the bomber forces; equally the two commanders, Sir Arthur Harris and General Carl Spaatz, were not acting out of hand. The directives and orders confronting them were painfully clear. The British Prime Minister, however, was stung by public reaction throughout the world to news of the new St Valentine's Day massacre to pen an angry minute to the Chief of Staff warning that "the destruction of Dresden remains a serious query against the conduct of allied bombing". It is from this remarkably forgetful minute that the subtitle of this documentary account is taken. For the first time the full story, omitting nothing, of the historical background to this cruel blow and of its unexpected political consequences, is told. First three, and now thirty years' research in England and Germany, and the active cooperation of the military authorities in London Washington and Moscow, produce a detailed account of this tragedy. The man who was directed by the city's Gauleiter to establish a Corpse Division in Dresden's Central Bureau of Missing Persons, with the grim task of establishing a final death toll for the raids, placed his private diary and records at the disposal of the author; similarly the two R.A.F. Master Bombers described the part they had to play. The book is illustrated with photographs taken by Walter Hahn under penalty of death in the wrecked city; Hahn was in fact arrested by the S.S. for being in prohibited areas, as behind police cordons the final and most hideous scenes of this terrible affair were played out.